Aleeza Hafeez from Sialkot, one of Pakistan’s most industrialized areas, has her own income for the first time. Knowing her own rights and an enabling environment at the workplace made it possible for her to work and grow as a professional. The project has changed family dynamics too. Now, Hafeez’s father includes her when making family decisions, a role previously reserved for male members. I started working as a trainee at a local clothing factory and received on-the-job training. I was a fast learner and learned different techniques. After the completion of my training, I was given the responsibility of looking after two departments—overlock and stitching. I was so excited when I got my first paycheck! Earning Rs 12,000 (approximately USD 100) per month was a dream come true. Throughout this journey, I have grown into a confident person. People from my village used to say that the working environment in factories is not safe for women. But the place where I work has been very welcoming to me and has found solutions to every issue that women raised. For example, travelling between home and the factory has become easier with pick-up and drop-off services as part of our employee benefits. Because of this project, I realized for the first time that female workers also have rights. I know that by law, I am entitled to different workplace benefits such a social protection coverages, food allowance, retirement benefits, etc. Such benefits are very encouraging for women workers. 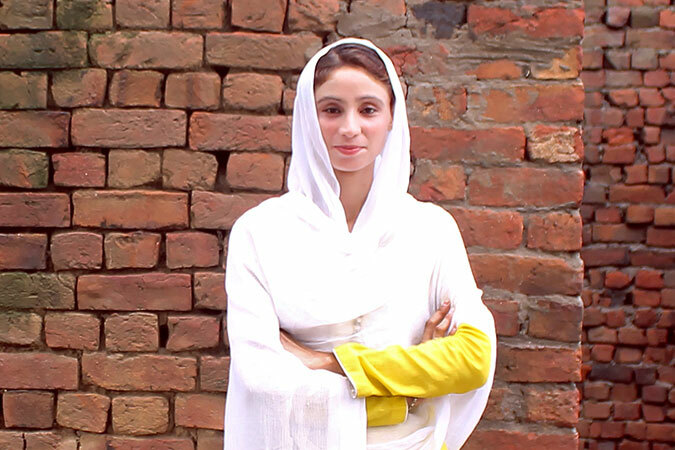 Aleeza Hafeez, 23, received job training from UN Women Pakistan and Baidarie’s project “Empowerment of Women Garment Workers in Sialkot”, funded by Byenetton Group. Today, she oversees two departments at a clothing factory in Sialkot, Pakistan and is able to contribute towards household expenses of her family. Hafeez’s story shows the importance of Sustainable Development Goal (SDG) 8, which calls for decent work for all, and SDG 10, which aims to reduce inequalities by 2030 and promote social, economic and political inclusion of all, and income growth for the poorest.